New York:: Putnam,, (1998). Fine in a fine dust jacket (as new.). First printing. 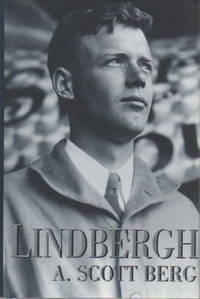 Based upon the massive Lindbergh archives - more than 2000 boxes of them - this is the definitive biography of the aviator who won the hearts of America, a picture of both the hero and the private man. SIGNED on the title page and dated in the year of publication. Winner of the Pulitzer Prize for biography. Illustrated with photographs. Notes and sources, index. 628 pp.